It’s so beautiful to see strangers come together at 30,000 feet. There’s something about being in an airplane that brings out either the best or worst in people, and Tom Scholzen of St. George, Utah got to witness both earlier this week on his flight to Minneapolis. 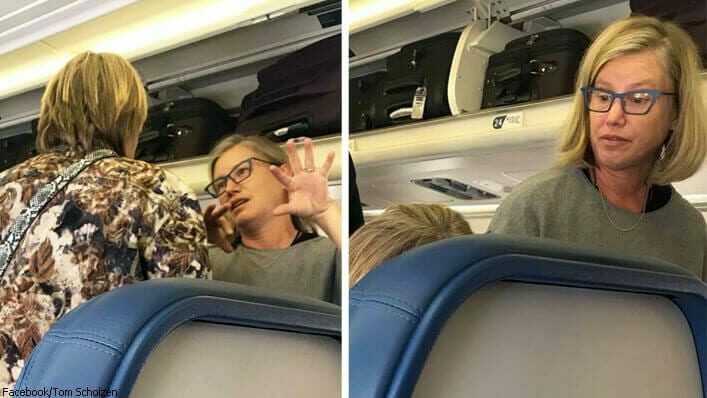 After a distraught older woman was escorted toward the back to her correct seat, she started to hear comments come from passengers like “meth head,” “drug addict,” and “tweeker.” [sic] It was clear to Tom that this woman was very shaky, fidgety, and couldn’t control certain motor skills. He could truly feel her pain and started to unbuckle his seatbelt so he could go over there to comfort her, but he had the passing thought that a man with a 6’5″ frame might alarm her, so he hesitated for a moment. 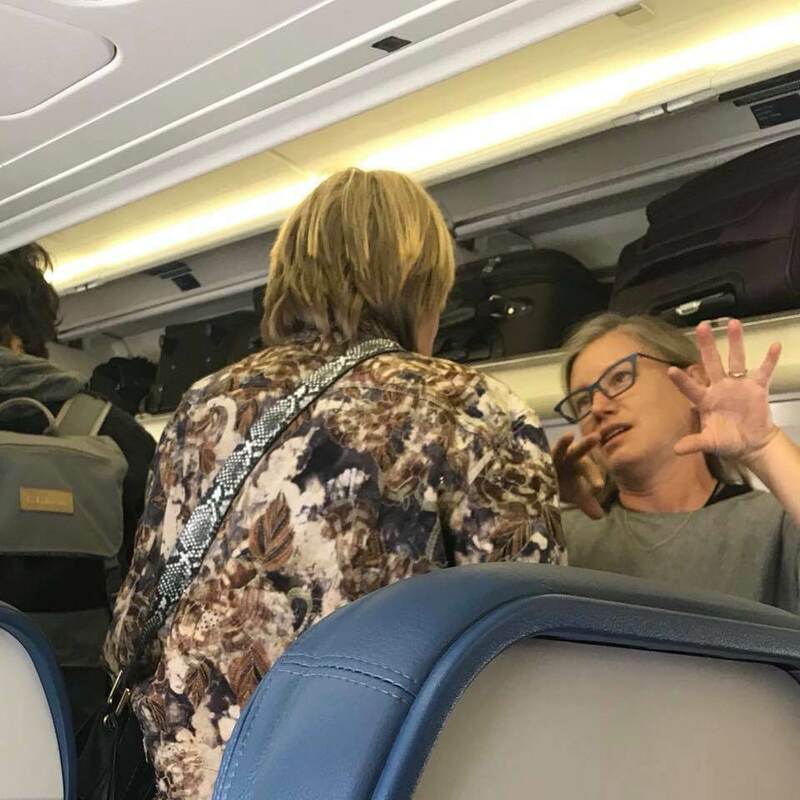 Thankfully, in the meantime, “an angel sitting across the aisle” had seen what Tom did and went over there to offer her a Kleenex and spend the rest of the flight consoling her. Since Tom posted his story, it’s been shared by Love What Matters and has warmed the hearts of thousands. Today, I was Traveling from SLC to Minneapolis, MN. As the Plane was about to leave I noticed a Flight Attendant talking with some passengers. What I gathered was that someone was in the wrong seat. A few moments later, I see an Older Woman being escorted back where I was sitting. She ended up sitting right in front of me. As she got closer, I heard other passengers comment things like “Meth Head”, “Drug Addict”, “Tweeker” [sic] etc. As this woman sat down, I could tell she was very fidgety and did not have control of certain motor skills. Her hands shook along with constant head movement. I could see she was visibly upset, confused and appeared frightened. She buckled herself in, then struggled to Open her purse. As she Opened it I noticed she had several Boarding passes. (Which told me she had other Flights). 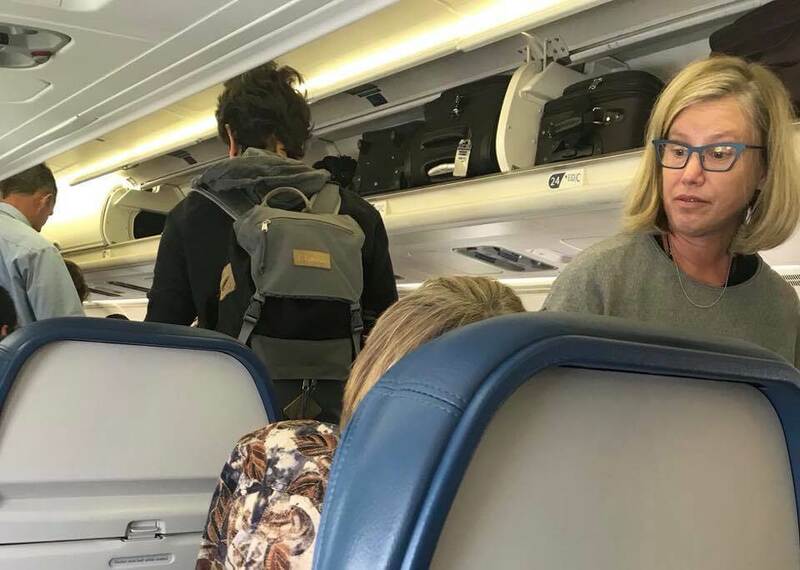 I’m sure she had looked at the wrong Boarding pass which led her to sitting in the wrong seat. She started to thumb thru them, then hands still shaking she put them over her face cause she was crying, My heart dropped, and I immediately wanted to do something to help her. I started to unbuckle my seatbelt, but had the thought that I didn’t want to scare her. After all I am a stranger in a 6’5” Frame…Thank Heavens, there was an Angel sitting across the Aisle that had seen what I had. I don’t know who the Distraught Lady was, nor her Health Issues, etc nor is it my Business! What is my Business is that I don’t like to see anyone hurt, even strangers. Regardless of what People look like on the outside, you never know what Storm is raging inside. Kindness goes a long way…If you know this Woman, I hope you tell her how Amazing she is! Instead of Showing Judgment she showed Compassion. If Tom’s story inspired you too, be sure to SHARE it with your friends on Facebook!